Visitors often refer to the DIAZ BEACH REGION as the Monaco of South Africa, and the GOLDEN MILE of Mossel Bay. This region offers luxury accommodation with a stunning view over the Indian Ocean as well as a variety of entertainment, especially in the summer on the premises of the DIAZ BEACH HOTEL. Recently, the hotel got new owners namely Tossie Steyn and Francois Conradie. Soon after their arrival, the hotel was given a facelift and entertainment facilities upgraded, to be ready for the December holidays and beyond. In addition, the hotel has a shopping centre, and is surrounded by exclusive security complexes, a number of apartment blocks, and guesthouses. This region, within Mossel Bay attracts, inter alia, young owners as 71% of the dwellings are apartments, lending itself to ‘lock-up-and-go’. The average monthly rent is R 4 500 to R 5 500 per month. Properties to rent are all apartments. Prices will increase steadily over the next 10 years, so now is the time to buy. The Mosel Bay Maritime museum was initially built as a Mill for wheat (and also a Sawmill for timber) by a progressive farmer E. J. Meyer in 1901. The builder was C. Wilson, the carpenter was E.Riley. The Mill was converted to a museum 1985/6, houses the Caravel built in Portugal and sailed to Mossel Bay to commemorate the 500th anniversary of Diaz’s landing at Monroe beach in 1488. The Shell museum (100 meters from the Maritime museum) was built in 1902 as a grain store for the Mill and converted to a museum by architect Gawie Fagan,as was the Maritime museum. Both museums are just off Market street. Following the Portuguese Bartholomew Diaz’s 1488 landing on Munro beach Mossel Bay, in 1501 Pedro d’Ataida left a letter in a sailor’s boot up in a tree just above the fountain (just above Munro beach), warning that the Calicut had been taken by the Borneans, so Portuguese were no longer safe to go there. Admiral Jao da Nova arrived with 7 ships containing the Change of Guard (changed every 3 years) for the Garrison at Calicut and found the letter. He decided to divert to Malakat where the Guard had only been 1 year. On the way back he built a small chapel to thank the Virgin Mary for the warning that saved his troops. Hence letters were regularly left in the shoe to avoid destruction by the Khoi who believed any form of writing was magic to be used against them. The Tree is located just off Market street. The discovery of the archaeology of Mossel Bay’s Pinnacle Point caves is of enormous significance for two reasons, says the discoverer Dr Peter Nilssen. The 2nd reason is that fossilized isotopes found in dripstone formations formed when the caves were sealed off from the outside world provided civilization with a picture of the climate of the area over the period 30 000 to 400 000 years ago. Since the caves also have a record of 162 000 years of human occupation, this becomes the one place on earth where archaeologists can study how we have adapted to change of climate over long periods of time. A new tour in Mossel Bay is about a very exciting and certainly a unique discovery and subsequent development that is commonly referred to as the Human Origin Experience. 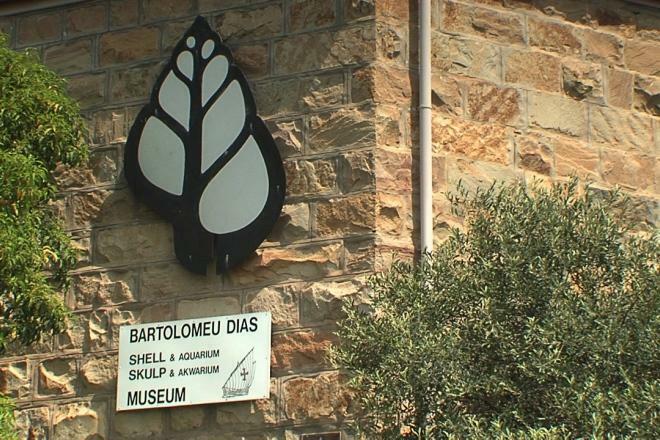 This discovery is about the beginnings of modern human behaviour, widely written on now by Martin Hatchuel, Mossel Bay’s Communication Consultant, and Dr Peter Nilssen, credited with the discovery of the archaeology of Mossel Bay’s Pinnacle Point Caves. This event boasts major international attention. The tour includes a presentation by Dr Nilssen together with Jonathon Kaplan, Director of the Agency for Cultural Resource Management. The caves are now the focus of ongoing international studies and involves more than 40 scientists from around the world. The tour, arranged by the Oystercatcher Trail, includes a walking visit to the Pinnacle Point Caves, and takes place on selected dates. Due to the sensitivity of the site, tours are restricted to a maximum of 12 visitors. These caves are now a Provincial Heritage Site and definitely a first in South Africa. Some 200 years later the Europeans that landed in Cape Town started moving North, hence the eruption of several wars, mostly based on land ownership and the clash of cultures. In the meantime, Mossel Bay has grown and expanded commercially, enough to build a commercial harbour (not only fishing), and today Mossel Bay has one in six of the largest harbours in South Africa. Diaz Beach Haven is more than just accommodation in Mossel Bay. Apart from our Guesthouse Accommodation in DIAZ BEACH winter special of 50% discount from the 3rd night onwards (until 31 Aug), we have more special rates- for scuba diving, white shark cage diving, boat trips, whale watching trips, golf in the area, and day trips. Come and explore more of Mossel Bay, Garden Route, Klein-Karoo, and environment as did Bartholomew Diaz, a Portuguese Explorer, when he set foot on Munro beach 3-4 km from us, in February 1488 – long before Jan van Riebeeck’s landing in 1652, in Cape Town”. Mossel Bay has a serious historical footprint but more about this in future blog.